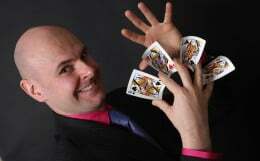 Parties are fine events for David to entertain all age groups with his dazzling array of illusions and mystical effects. He is a highly experienced performer and is equally at home at a house party or larger function in one of Mansfield's fashionable clubs. David can provide you with a stage show which is certainly out-of-this-world! Close-up illusions can also occur in close proximity to your guests as well as balloon models. 1. 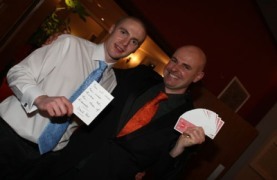 The gift of David's magic for a loved one on a special occasion is something that will never be forgotten. 2. 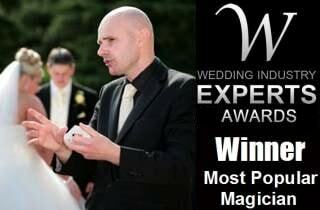 Not only will David supply you with a world-class performance of magic, you will receive full planning and advice. 3. Your family, friends and colleagues will praise your fabulous choice of entertainment. 4. David always blends in with his audience and makes them feel relaxed, yet important and special. 5. For functions in the Mansfield area, David can provide an affordable 'Party Package' and always strives to deliver excellent value for money.